Am I personally liable for my child's car accident? As a parent, one (of many) concerns you probably have is whether you are personally liable if your child causes a car accident. You probably bought their car and are paying their insurance, so it’s a fair question. If your child is such a go-getter to have bought their own car and pay their own insurance, good for them - and you! Typically, you’re not personally liable for your child’s car accident. Fortunately, in Virginia, you are not generally personally liable for your child’s car accident. That means if he or she causes damage or injury to another, the injured party typically will NOT be awarded money against you. Not so quick – negligent entrustment. That said, there are some limited situations where you would need to be concerned. There’s a claim in Virginia called “negligent entrustment,” which essentially means that despite knowing your child was incompetent, unfit, and/or a dangerous driver, you let them drive anyway. In those situations, you can be held personally liable for their actions. It makes sense – you could stop your dangerous child from driving, but you didn’t, so you’re partly to blame. When is my child considered unfit to drive? For the most part, Virginia courts have limited negligent entrustment claims to situations where your child would be dangerous due to physical conditions that would hamper their ability to drive, such as: intoxication, handicap by blindness, or a physical deformity that would affect their ability to drive safely. Another situation would be allowing your child to drive despite their never having been licensed. That said, the thing about the law is that it’s always changing. So while your potential liability for negligent entrustment may seem narrow now, there may be new cases that come out that expand that potential liability. So, what can I do to protect myself, James?! Make sure that your child is ready to drive – I know, I know, Johnny or Jenny wants to get on the road the day after they are eligible for their learner’s permit. But slow down! Once your child gets qualified for a learner’s permit, take the necessary time to train them in a safe location, such as an empty parking lot. And make sure you give them enough time to be comfortable with handling a vehicle before road testing. 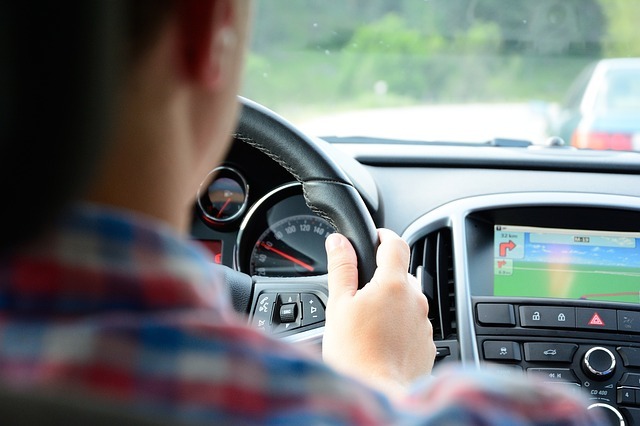 Make sure they know the rules and follow them – Of course, your child will be required to take driver’s education before getting their license. But don’t just rely on others educating them. Take the necessary time, even after they get their licenses, to ride with your children, answer their questions, and make sure they know the rules before you give them free rein. Dear Lord, no phones! – Of course, we all know by know how dangerous distracted driving can be. But we all ignore it! Don’t let your kid driving while using their phone. And stop doing that yourself. Kids live by example. Take traffic cases seriously – If your child gets a speeding ticket (or other traffic infraction), don’t let it just slide. Remember, small acts of negligence can cause people to die – literally. If they can’t follow the rules, they can’t drive. Drinking or Drugs? No Car – forever. Look, I know this goes without saying, but if your child is using illegal substances, they have a lot of issues going forward. One thing, though, is you don’t want to be held liable if they kill someone in a car. Tough love is sometimes necessary. GET ENOUGH CAR INSURANCE – Remember, in Virginia, you can protect yourself from personal liability simply by purchasing enough car insurance. And don’t rely on your insurance agent telling you that you’re “fully insured.” In Virginia, you can be fully insured with as little as $25,000 in coverage. In serious car accidents, that’s a drop in the bucket. At BenGlassLaw, we recommend you purchase $1,000,000 (yes, one million) in both liability and underinsured motorist coverage. For only a couple hundred bucks more a year, you can avoid the stress of losing everything you’ve built by simply having proper insurance.